Journalist and writer Christopher Clark gives some insights on how he came into contact with ABCD Concepts, and how the relationship has developed since. About a year ago, one of my regular employers Robert approached me about pioneering a social development project in conjunction with his online marketing and tourism company Biggestleaf. I have helped Biggestleaf with various media-based work for some years now, but this was to be something new for me. However, Rob knew of my interest in social entrepreneurship and my firm belief in using my media skills and platforms to benefit others. 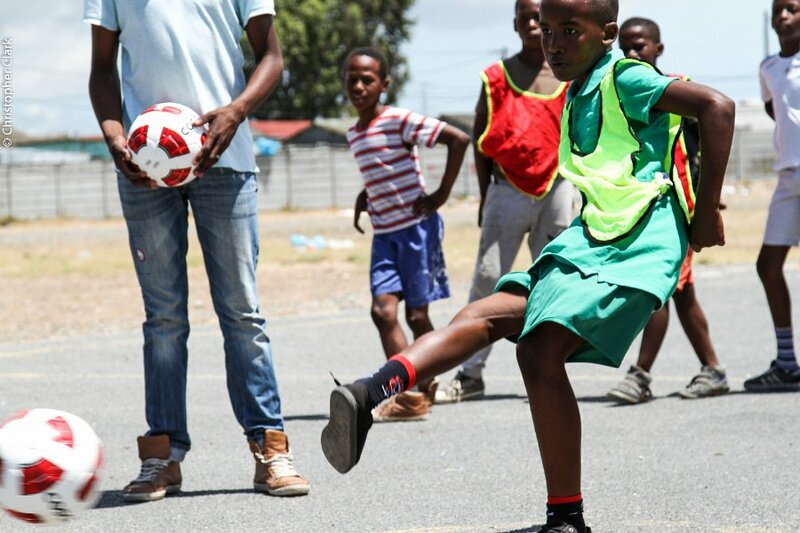 So I started putting out some feelers and the first person that really piqued my interest was Buntu Matole, who emailed me about the work that ABCD Concepts, and specifically their Sporting Code project, were doing in Khayelitsha and beyond. Soon afterwards, I met up for coffee with Buntu and his partner Ayanda Cuba, and we instantly hit it off. Both these young men have very different but complimentary personalities, with Buntu an obvious leader and practically-minded, and Ayanda a more introverted character but obviously bursting with creative ideas. Both men clearly had great determination to contribute to their community in a positive way through sport and social entrepreneurship, and had already made strides in the right direction, hosting various sporting events and workshops for children in and around Khayelitsha. 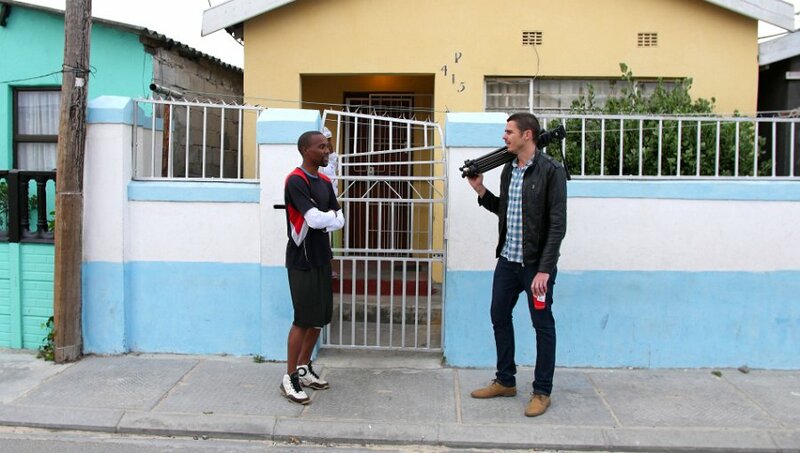 Since then, both myself and Biggestleaf’s in-house videographer Josh John, as well as web developer Simon Cox, have been helping Buntu and Ayanda to grow ABCD Concepts’ online footprint and increase their exposure. We have helped them to make promotional videos, document their work through images and press articles, and set up the website where this blog post is now published. Along the way, we’ve spent time in their homes; we’ve also seen them in action at meetings, at the office space they use in Lookout Hill, Khayelitsha, and at various sports workshops and events. The more time I have been lucky enough to spend with them, the stronger my belief that they will continue to make waves and achieve great things. And the more I have come to see them as friends. Buntu and Ayanda constantly remind me how much there is to be hopeful about in Cape Town and South Africa, despite all the issues that are faced by the majority of South Africans. They have also helped to show me how many others there are like them out there. Through introductions from them, Biggestleaf has now formed similar working relationships with a number of other social entrepreneurs from Khayelitsha, as well as Langa. It’s quite inspiring to see the way that so many of these young game changers support each other, and that they see so clearly that their aim is ultimately the same. It’s been an honour to share a small part of the ABCD Concepts journey so far, and I feel a resounding sense of satisfaction seeing the growing recognition that Sporting Code is getting in particular, in part because of the work we have done with Buntu and Ayanda, but ultimately because they truly deserve it. I look forward to continuing to build this exciting relationship. You can find out more about the social development work Biggestleaf is doing here.